Making Ireland a safer and fairer place to live and work is the central aim of the Government’s commitments in the Programme for Government to deliver reform across all elements of the Justice and Equality sector. The remit of the Justice family of agencies and services stretches across a range of human concerns and touches on aspects of national life as diverse as the protection of life and property; the prevention and detection of crime; the operation of the probation, youth justice and prison services; the maintenance and promotion of fairness and equality; the provision of services for the buying and selling of property; the management of inward migration to the State; and providing a Courts Service and other forms of investigative tribunals. 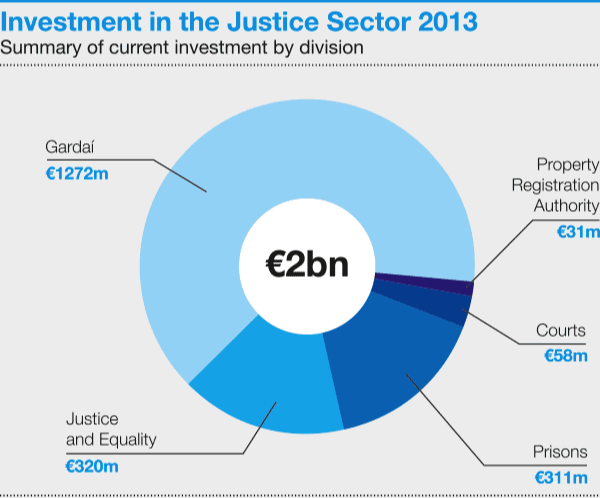 Reform is needed in the Justice and Equality sector so that it will continue to have the capacity to deliver services with maximum efficiency and effectiveness and be able to respond to the challenges facing it in the future in the context of emerging demographic and social changes and significantly reduced budgets. [iv] shared services and common approaches are utilised wherever advantageous. Under this programme, which is underpinned by a very significant programme of legislative reform, the organisations across the sector are reforming their models of service delivery, in partnership with each other, concentrating on the front-line and working together in new ways to prevent crime, reduce re-offending, enable more secure communities, advance the security of the State, achieve a more equitable and inclusive society and fair, effective, efficient and accessible justice systems. The Prison Service is working closely with the Courts Service to develop more efficient operating models, including the increased use of video link technology. Gardaí will deliver an additional 61,000 patrol hours in 2013. [v] Legislative programme: the criminal and civil law structures and systems – including family law and court structures – are being updated so that Ireland’s laws and procedures reflect the current needs of society. Many of these new laws are key enablers of reform. 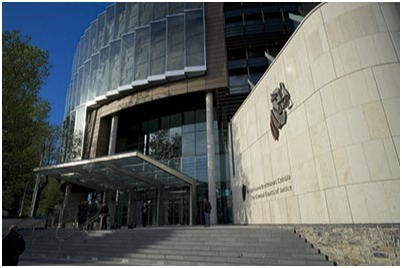 For example, new legislation covering the exercise of decision making powers by people with impaired capacity was published in July 2013, legislation providing for a DNA database which will assist the Garda Síochána in tackling crime was published in September 2013 and the legislation governing reform of legal services is before the Oireachtas. A modern, effective and responsive Justice and Equality system, based on the Rule of Law, is essential to democracy, to the creation of a more equitable society and to economic progress. These reforms will ensure that the services that make up the Justice and Equality Sector will continue to have the capacity and capability to perform this vital function, with visibility in our communities, prioritising personal safety and security, and promoting access to Justice, based on efficient use of resources in a framework of human rights.